For the past couple of months, pretty much the only extra-curricular activity I have been up to is rock climbing. I barely manage to go dancing once or twice a week. Which is really weird for me. For several years, I have been dancing five, even six nights a week, sometimes at multiple venues in one evening. If there was a dance, competition, showcase, or practice session happening anywhere in the Bay, I tried to be there. I was also practicing on my own, and putting out solo dance videos on the regular. Now, for a variety of reasons, I’ve almost stopped dancing. And strangely, I barely miss it. For the time being, rock climbing, indoor bouldering specifically, has taken the place of dancing as my primary obsession. I climb 3-4 times a week at my gym Planet Granite. In the evenings, I watch one of my favorite climbing vlogs, or catch up on one of the many climbing competitions happening around the world. 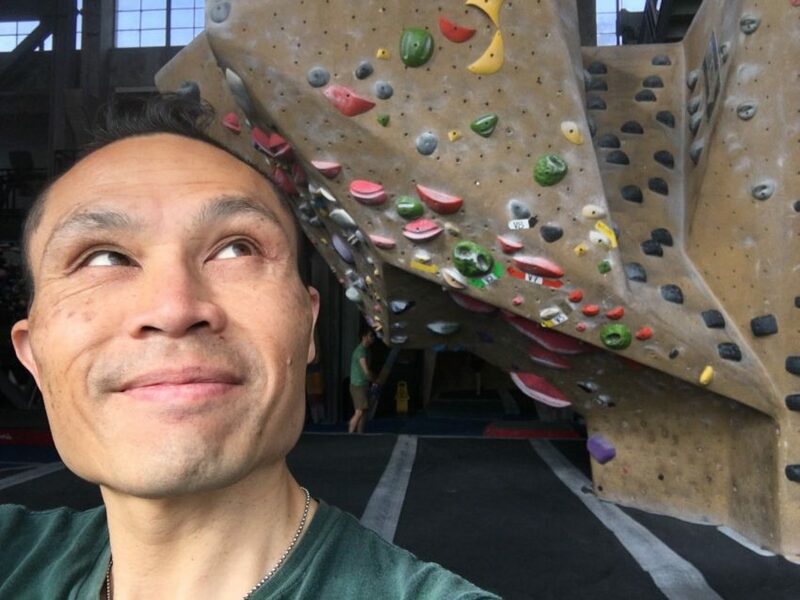 I’m so happy about my climbing progress over the past couple of months. Now I’m working on and sending V4s and V5s pretty regularly. My stamina has improved where I can climb for 1-2 hours at a go. Here’s one of my recent V5 sends I’m pretty happy about. Here’s another V5 I like a lot that I nearly topped the other night. I don’t know how long this will last. But for now, I’m enjoying this new pursuit a lot.